Let's get loud people because the U.S. Women's soccer team won against Germany Tuesday and will advance to the Women's World Cup finals. USA beat Germany 2-0 and will play the winner of Wednesday's semi-final match between defending champ and fourth-ranked Japan and sixth-ranked England. The World Cup final is set for Sunday at Vancouver's BC Place. The USWNT's first goal came after forward Alex Morgan fell over a German defender. Forward Carli Lloyd was given a penalty kick in the 69th minute, which went on the right side of the goal. 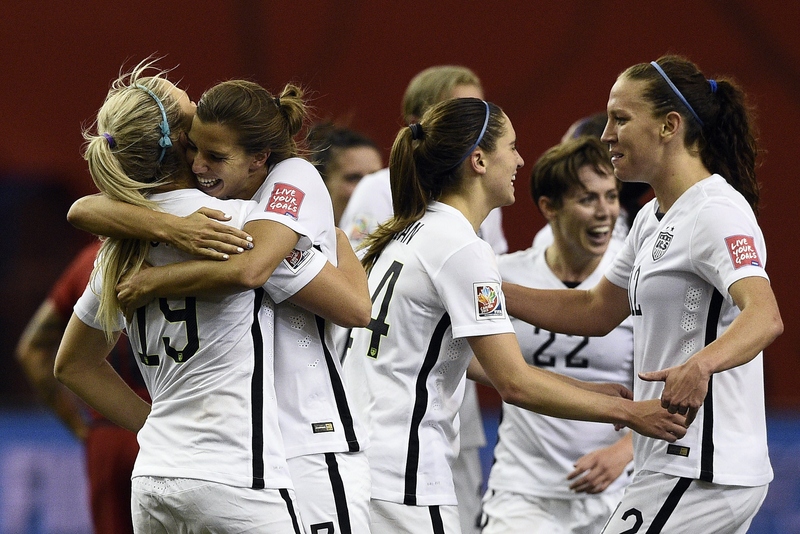 Later, substitute Kelley O'Hara scored in the 84th minute to give the U.S. team a comfortable lead. It could have gone a different direction earlier, however. Nine minutes before Lloyd's goal, Germany's Celia Sasic was awarded a penalty kick after U.S. defender Julie Johnston pulled the German striker down. Sasic's kick went too wide, however. While Germany's attack strategy was strong, the U.S. team's defense proved top notch once again, keeping opponents to zero goals in the last five games. The semi-finals match between Germany and the United States felt very much like the final showdown since it was played by the two top-ranked teams in the tournament. With Germany gone, the United States is now one game away from winning the World Cup, a feat it hasn't accomplished since 1999.